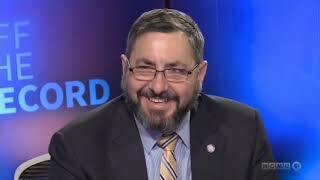 Senator Jim Stamas joined Off The Record with Tim Skubick on March 8, 2019 to discuss Gov. 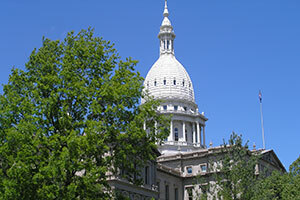 Whitmer's budget proposal and other issues affecting Michigan. 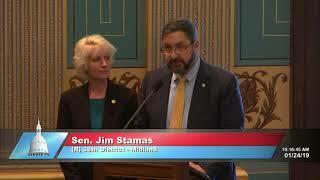 Senator Jim Stamas spoke in memory of World War II veteran Don Bloomfield during the Jan. 24, 2019 session of the Michigan Senate. 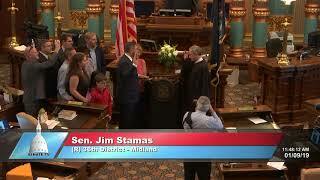 Senator Jim Stamas took the oath of office for the Michigan Senate on January 9, 2019. 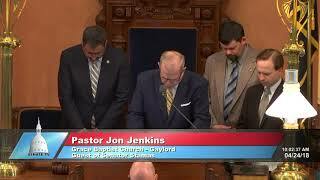 Senator Jim Stamas, R-Midland, welcomes Pastor Jon Jenkins of Grace Baptist Church in Gaylord to the Michigan Senate to deliver the invocation at the start of the April 24, 2018 session. 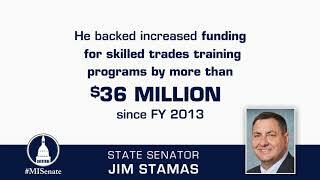 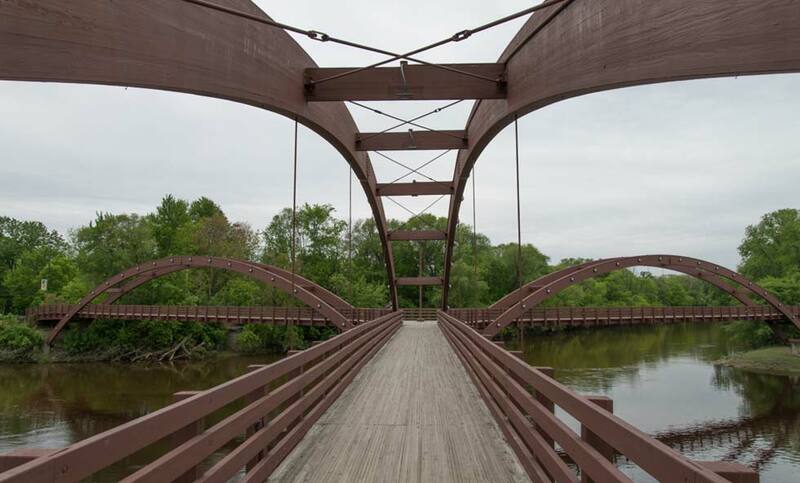 Senator Jim Stamas, R-Midland, has worked to keep Michigan heading in the right direction.